In this post we wanted to share some of the research and process behind Recounted, our project originally commissioned by the V&A for the London Design Festival Digital Weekend. Before the Industrial Revolution, most knitwear was produced by small groups of women who – as they knitted – sang songs together to keep count of the number of stitches. This installation reimagines the folk heritage of knitting, drawing inspiration from the communal approach to production and its aural traditions. Visitors could record a short audio messages which were analysed and converted into patterns in real time. These patterns were then sent to be manufactured on demand and hung as part of the exhibition. For more detail on the project as a whole, please check out the case study. Fair Isle jumper knitted for the Duke of windsor. During the initial research and development phase of the Recounted project, we were invited to take a tour of the Victoria and Albert Museum’s clothworkers centre, located in Blythe House, Olympia. We were shown a wide collection of British traditional knitwear that showcased different styles and techniques of manufacture. Inspired by these traditional patterns and techniques, we began experimenting with various pattern generating scripts using the voice as an input. 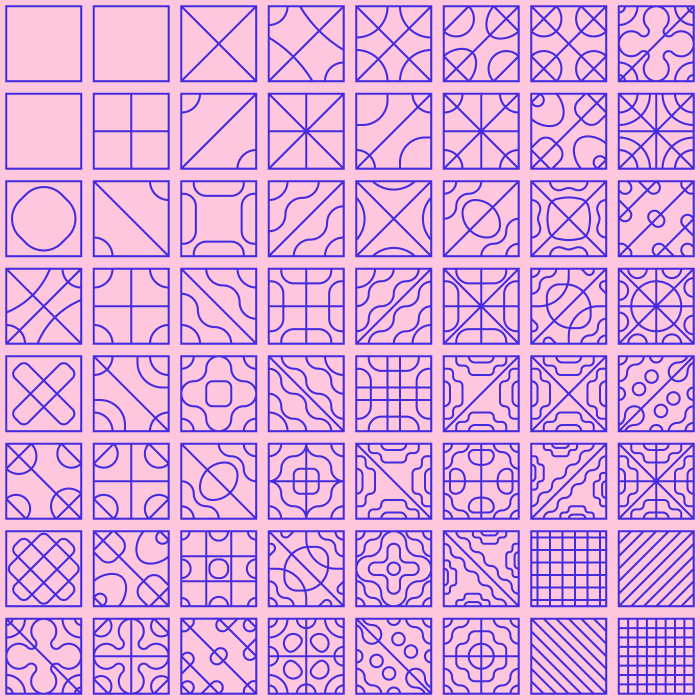 We decided that Chladni figures were the most satisfying generative patterns that were reminiscent of patterns found in our research. Chladni’s Law is used to explain the phenomenon where a plate vibrating at certain frequencies will have areas of vibration and areas that remain motionless. By placing sand on these plates, you can reveal hidden patterns – where the sand collects at the nodal lines. Each sample on the knitted tapestry is dense with information, showing a soundwave to represent the amplitude of the recording, a series of chladni patterns to show the changing frequency, and a timeline along the bottom to visualise the elapsed time from the beginning of the exhibition.